Toronto has built an impressive canine monument. Claude Cormier is the architect responsible for the vision. On June 28th, this new dog fountain and iconic masterpiece was unveiled for the pleasure of both locals and tourists to enjoy and walk about with their furry four-legged friends. Those involved in bringing this marvel to fruition are estimating 2000 dog visits per day. 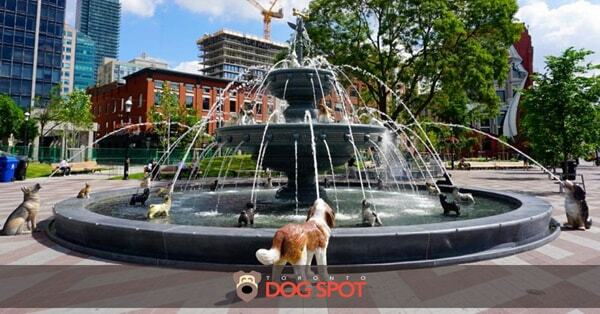 Claude Cormier has built a fountain that appeals to dog lovers but also to our dogs. Just go to Instagram and you will see some great pics with doggie reactions to these hand sculpted look-a-likes. It is a dedicated monument to man’s best friend that are surrounding a giant fountain with streams of water shooting out of their mouths and paying homage to a large bone up in the sky. At night, the fountain lights up beautifully and become a visually stunning piece that adds to the aura of the bustling night culture. Claude Cormier, principal architect for Toronto’s new Berczy Park fountain talks about how the fountain commemorates this neighbourhood in Old Toronto. The Circle is a short film about the relationship of a man, Ford Nixon, and his puppy, Chief. 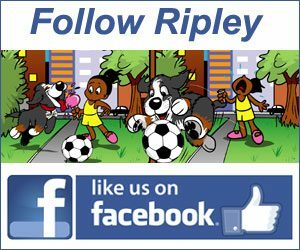 With a slight twist at the end, this emotional short film is almost certain to draw a tear from any dog/animal lover. Watch the film The Circle.